The bedrock of 2am Haze, much like all our Hop Hop packs, is of course the drums. This library is filled with a vast selection of 60 adaptable individual drum hits. Additionally for those who are after quick inspiration when chopping together their beats, 25 drum loops with a variety of grooves and an outstanding level of humanistic detail and feel are included, along with respective stem bounces which allows simple interchangeability between the grooves on offer. Not to forget our signature section containing numerous melodic ‘song starters’ consisting of multiple layers of instruments, providing a thick sample to work with and spark your creativity. 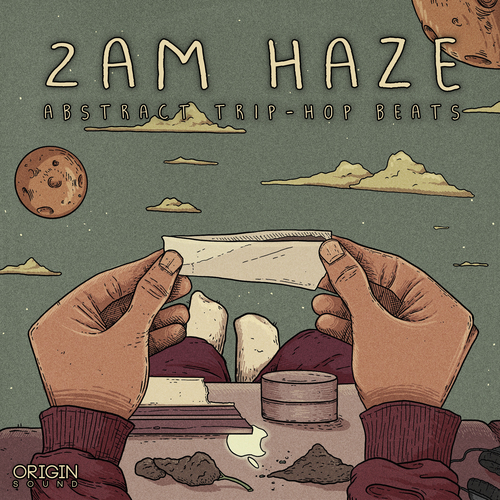 2am Haze also includes key and tempo labelled MIDI clips to match the music loops, giving you the ability to build on your productions with your own sonic imprint.